For ambitious athletes and outdoor adventures, the Fenix 5 Plus series watches are the high-performance way to beat yesterday and bring your maps and music along. 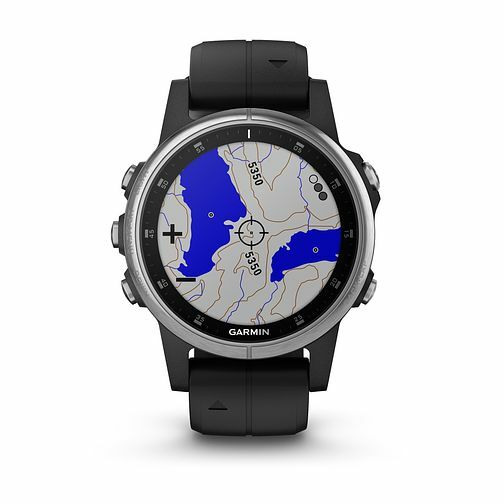 These tough, premium-crafted watches feature routable colour mapping, wrist-based heart rate, music right from the watch on the go, and ready for Garmin Pay contactless payment. This watch boasts a black silicone strap, fashionable and functional.